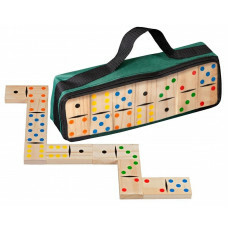 The domino tiles are placed on the table with the pips (spots) facing up and shuffled. Every player draws the same number of tiles. Then, the dominoes which were drawn are placed in turns. 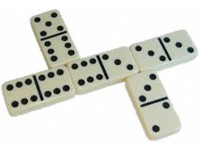 The dominoes can only be placed against tiles with a matching number of pips. The winner is the player who first plays all of his dominoes. 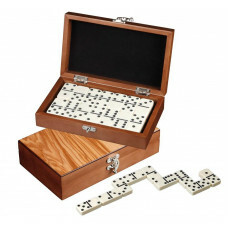 Domino set 0-6 made of Bamboo, AN 3265 / Traditional design domino pieces made of bamboo with small dots in black. Storage in wooden box. 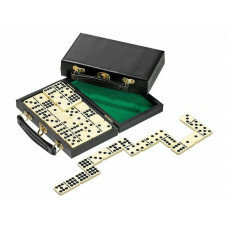 See "Specification..
Acrylic Dominoes 0-9, AN 3601 / Classic design domino pieces made of acrylic with engraved dots in black. Storage in vinyl black case. 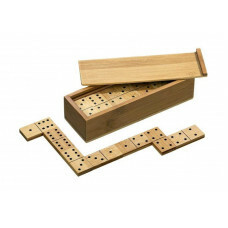 See "Specification" f..
Domino set 0-6 made of pinnewood, AN 3617 / Beautiful design domino pieces made of pinnewood with small dots in many colors. Storage in carrying bag. 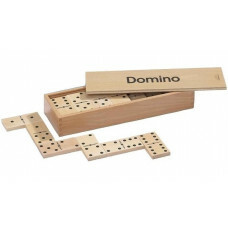 See "S..
Domino set 0-6 in box of olive-wood, AN 3625 / Standard dominoes of acrylic with engraved dots in black. 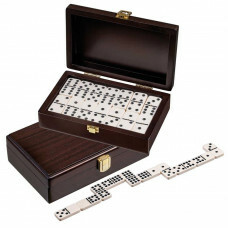 Storage in beautiful box of birch and olive wood, natu..
Domino set 0-9 in wooden box, AN 3627 / Standard dominoes of acrylic with engraved dots in black. Storage in wooden box, dark brown stained. 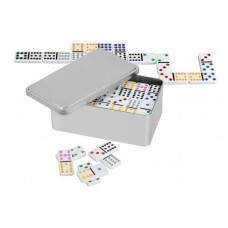 See "Specificat..
Domino set 0-12 made of acrylic, AN 3628 / Beautiful design dominoes in metal box. 91 pieces with engraved dots in many colors. See "Specification" for deta..